last year. It is not as bad as the earlier version because it does not have us selling the park at rock bottom 1992 prices. However, the bill is still problematic. It calls for a hearing to review the mission of the park and provides a structure for selling it to local entities for environmental purposes. The consequence to every state purchase is obvious. Your D36 LAO Program has initiated meetings in the Capitol and is currently opposing the bill. The LAO will be testifying at the hearing and is also working to forge a solution that gets us out of this permanent limbo. This is just the beginning of a long legislative process that will extend into the summer. In the meantime, the LAO is urging D36 members to send in letters using the AMA’s Grassroots Action Network System. AMA is an important partner and the LAO appreciates their work on this issue. Thanks for your ongoing support of the D36 LAO Program and our efforts to promote and protect responsible OHV recreation in California. The D36 LAO has just learned that the BLM as hired a Walker Ridge Project Manager who started work on April 1, 2019. The energy companies associated with this project are the Colusa Wind Energy LLC (CWE) that is owned by Salka Energy, Algonquin Utilities Power Corporation, and Liberty Power Corporation. D36 also understands the BLM has signed a MOU with CWE. D36 understands that a lot of its members ride off-road motorcycles in the Walker Ridge area. And, that the BLM has identified that general area for OHV travel planning to designate a substantive network of high-value OHV trails. D36 and a number of its OHV and conservation partners have long opposed various wind energy planning efforts over the last 10-15 years. However, it seems the administration’s new energy expansion strategy has identified Walker Ridge as a potential wind farm. D36 has sent a request to the BLM asking that it be placed on the project’s mailing list and is sent copies of any related documents related to MOUs, agreements, scoping, planning, and project implementation. Be assured, the D36 LAO will be engaged on this important issue over the next 1-2 years. A Mojo Motosport Championship Cross Country Series. Round 2 of the District 36 – SRT Adult Championship Cross Country Series presented by SpecBolt. Round 2 of the District 36 – Motion Pro Youth Cross Country Championship Series presented by Honda, Kawasaki, KTM of Modesto. Time to enter online growing short! Pre-entries close Thursday March 28th at 7 PM Enter now! The Phantom Hare Scrambles, Round 6 of the Mojo-Distinct 36 Championship Cross Country Series, originally scheduled for March 16th & 17th has postponed. The Hollister Hills Park officials have asked the Ghostriders MC to select another date due to the recent rains and concerns about ground saturation and potential excessive damage to the trails. Watch for more updates and a new date. The Old Crow got the Youth day completed on March 2nd but Mother Nature wasn’t cooperating and the Adult day on Sunday was rained out. This new date is to run the adult races to finish the Old Crow’s meets for the series. This Date became available due to the cancellation of the Honey Lake Hare Scrambles. We have no further details on why Honey Lake cancelled at this time but have been assured that it will return. Sooooo…..On to the Old Crow, Round 5 of the District 36 – SRT Championship Cross Country Series presented by SpecBolt. Acting Secretary of the Interior, David Bernhardt, has appointed the AMA District 36 Government Affairs lead to serve on the Bureau of Land Management’s (BLM) Central California Resource Advisory Council (RAC). Don Amador, a former chairman of the California Off-Highway Motor Vehicle Recreation Commission, will be representing the interests of OHV enthusiasts who enjoy casual use or participate in permitted motorized events. This particular RAC advises the BLM on public land issues within the boundaries of the Bakersfield, Bishop, Central Coast, Mother Lode and Ukiah field offices, which comprise the Central California District. D36 members enjoy participating in competition events or trail riding with family and friends at popular OHV sites within the RAC’s jurisdiction. Some of those units include the BLM’s Cow Mountain and Knoxville OHV Areas. The Clear Creek Management Area (currently closed) is also within the RAC’s boundary. In addition, there are dispersed OHV opportunities in or near Walker Ridge and in the Sierra or Coastal Mountain foothills. The RAC can make recommendations on programs and policies to increase outdoor recreation opportunities for all Americans including new OHV riding areas and to implement the agency’s regulatory reform proposals which include streamlining the event permit process. “D36 members understand that OHV is a significant contributor to the economy and an important part of the California state-wide recreation opportunity matrix and that OHV recreation is also an important partner when it comes to addressing the growing threat of intense wildfires on both public and private lands. I look forward to working with other user groups on the RAC in support of access to, and resource management of, lands within the RAC’s project area,” Amador concludes. WILD HORSE SPRINT ENDURO IS THIS SUNDAY MARCH 10th! The Western States Racing Association is running their 2019 Wild Horse Sprint Enduro, Round 1 of the 2019 SRT – District 36 Championship Enduro Series presented by NorCal Motorsports. Time: Racing Starts at 9 am with the A Riders first out. On March 1, 2019, representatives of the California Air Resources Board (CARB) gave an update on their Red Sticker Off-Highway Vehicle Assessment to the CA OHV Commission and members of the audience. Those same CARB representatives attended an OHV Commission field tour on February 28 which included a review of designated roads, trails, and open areas in the Jawbone/Dove Springs OHV Recreation area. 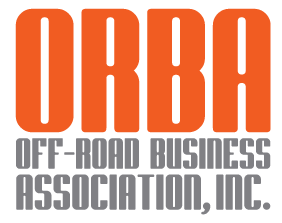 Having been engaged in the Red Sticker issue since 2013, I feel that CARB has worked hard to substantively engage with the OHV competition stakeholder community that includes: OHMVR Division, DMV, OHV Industry, and competition-oriented motorcycle organizations so as to minimize fiscal and recreation impacts to the sport. In the attached video below you can watch the ARB presentation on various proposals and concepts that might be included in the new competition sticker program including public comments from D36 and other stakeholders. Retain the 17 digit VIN # – This will aid in continued fiscal support for law enforcement and land management. It will also help in the sale and resale of the vehicle. Allow practice riding on public lands – ARB staffers have a better understanding of the importance of allowing riders to practice with their competition motorcycles on public lands and that “practice riding” IS a critical part of competition. Exempt youth motorcycles – ARB is looking to allow youth competition motorcycles (under 110cc) to be green stickered. There are two dates to remember! APRIL 25, 2019 – The full Air Resources Board will hold a hearing on the proposal. Thanks for your support and interest in this all too important subject! Old Crow Hare Scrambles This Weekend! March 2nd & 3rd . This is Round 5 of the District 36 – SRT Championship Cross Country Series presented by SpecBolt , and Round 5 Of the District 36 – Motion Pro Youth Cross Country Championship Series presented by Honda, Kawasaki, KTM of Modesto.